Gérard Delacroix describes in 40 pages and 52 color photos his construction method for modeling beginners who may only have simple tools. Provided with six 1/36-scale plates of drawings. and plans at 1/36 or 1/24 or 1/18. 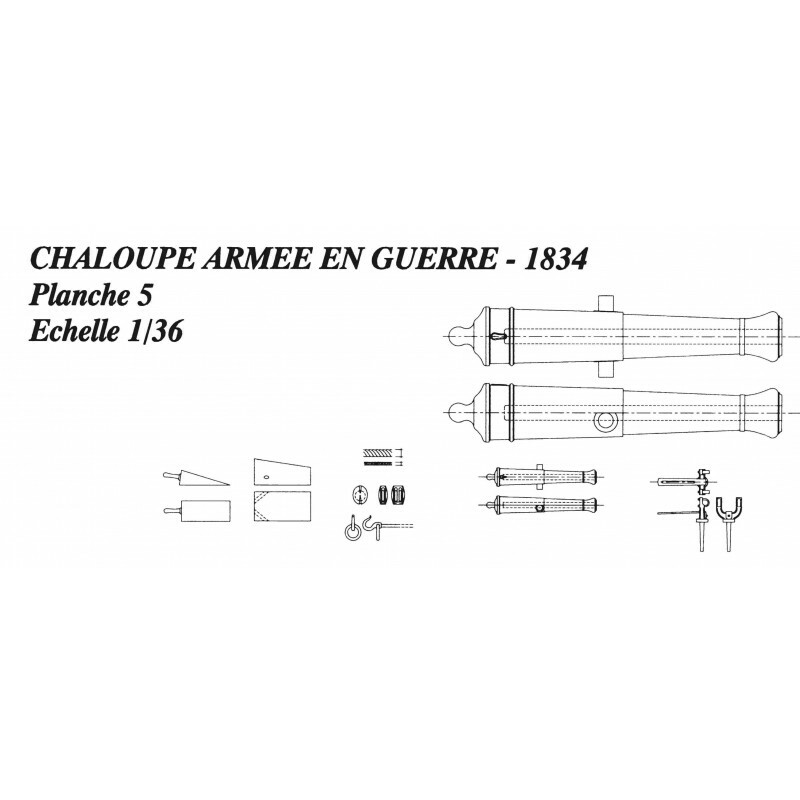 La monographie de La chaloupe armée en guerre ne propose pas le dessin de son gréement car celui-ci est déposé lorsque la chaloupe est dans cette configuration. Ce complément présente donc, sur trois planches et quatre pages de texte, les dispositions et les explications nécessaires à la mise en place de la mature, des voiles et du gréement. Le dessin des rames a également été ajouté. Les dispositions de la mâture et de la voilure sont issues de l'instruction ministérielle du 17 juillet 1833. 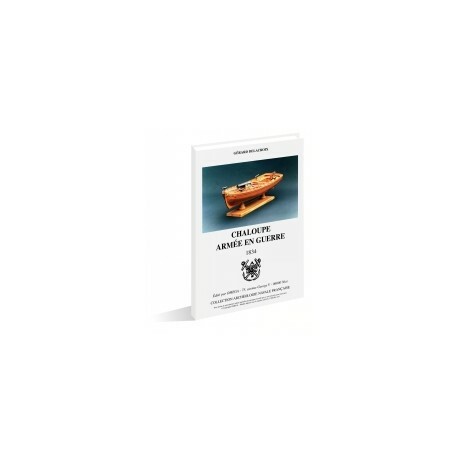 Besides their service usage aboard ships, longboats were also used for more warlike tasks. 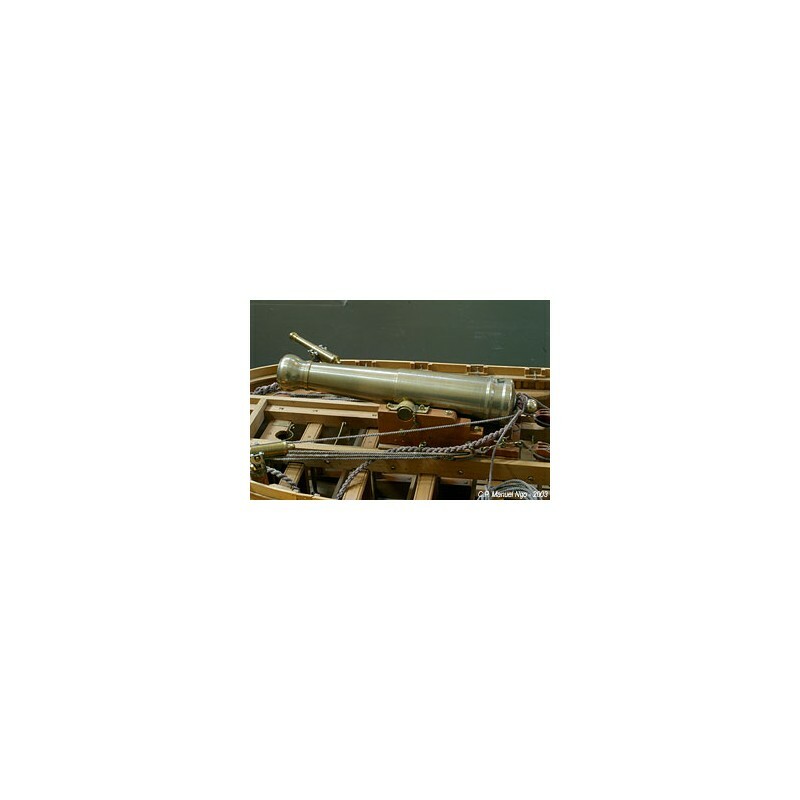 They could be used for the protection of harbor entrances or roads, as well as support for landings in enemy territory. In this case, the longboat was then referred to as an armed longboat. For such occasions, it was modified temporarily by installing a forward-firing chase gun atop the thwarts. 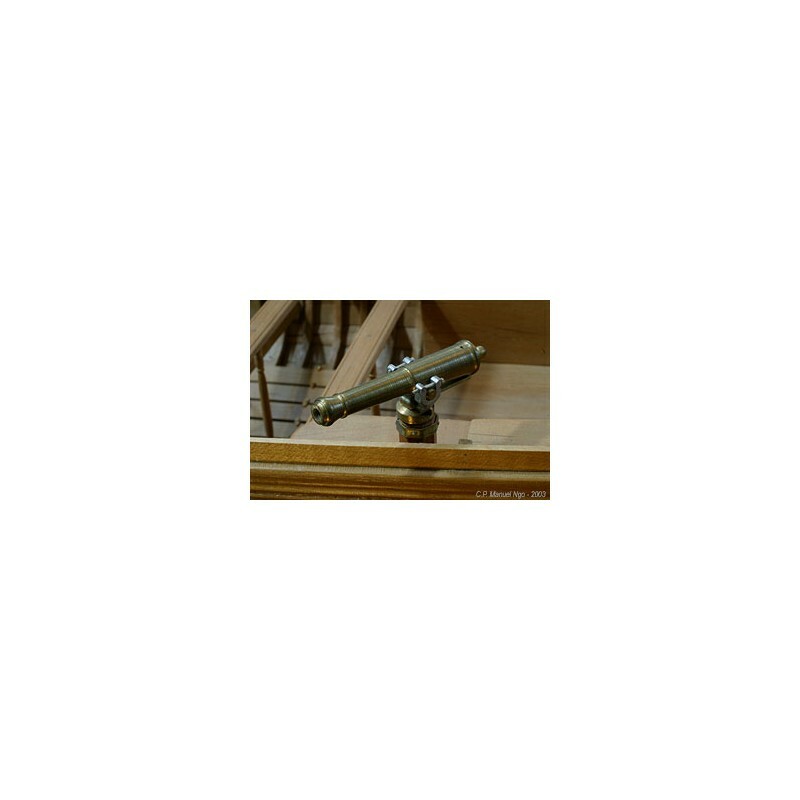 This gun was guided by a system of slides bolted to the thwarts. It was not a “gunboat”, which was a well-defined, larger and often decked boat-type, but a regular ship's boat armed with a large-caliber cannon. 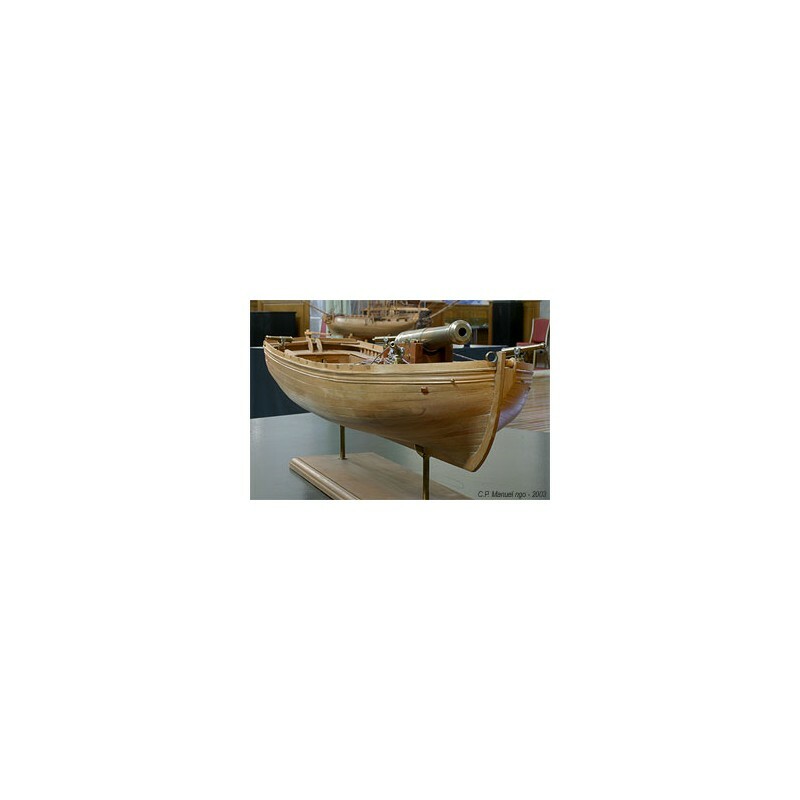 The longboat described here is 13.00 meters long, 3.49 meters wide under the planking and 1.40 meters depth-in-hold. The plates with comments are from a plan dated 1834 of the Atlas de Génie Maritime. 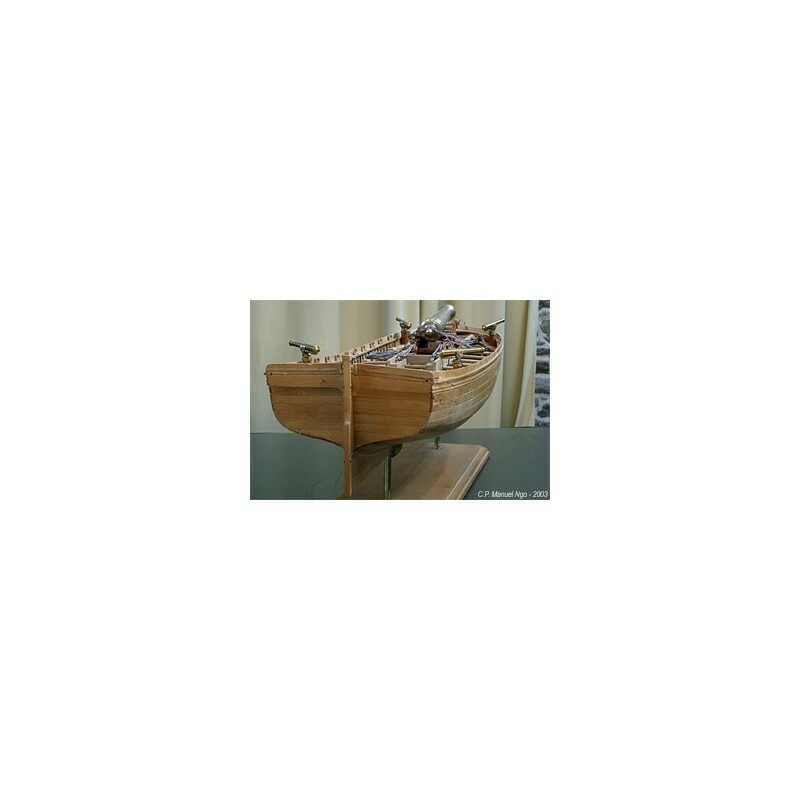 Gérard Delacroix, a talented modeler, describes (in 40 pages and 52 color photographs) his construction method for modeling beginners who may only have simple tools. 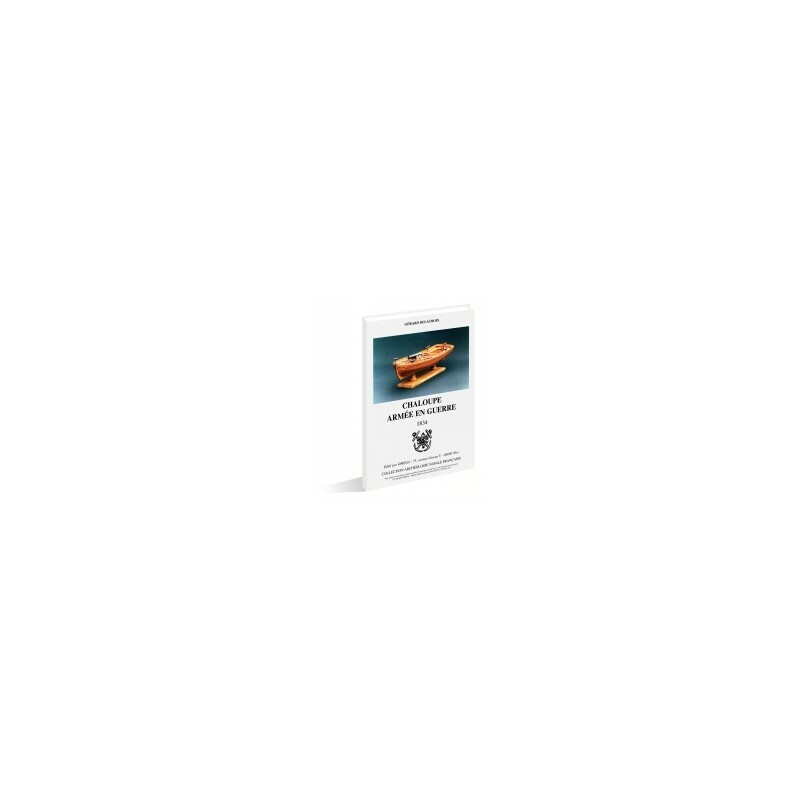 8 page booklet with comments on the plates and 40 page construction method for beginners. 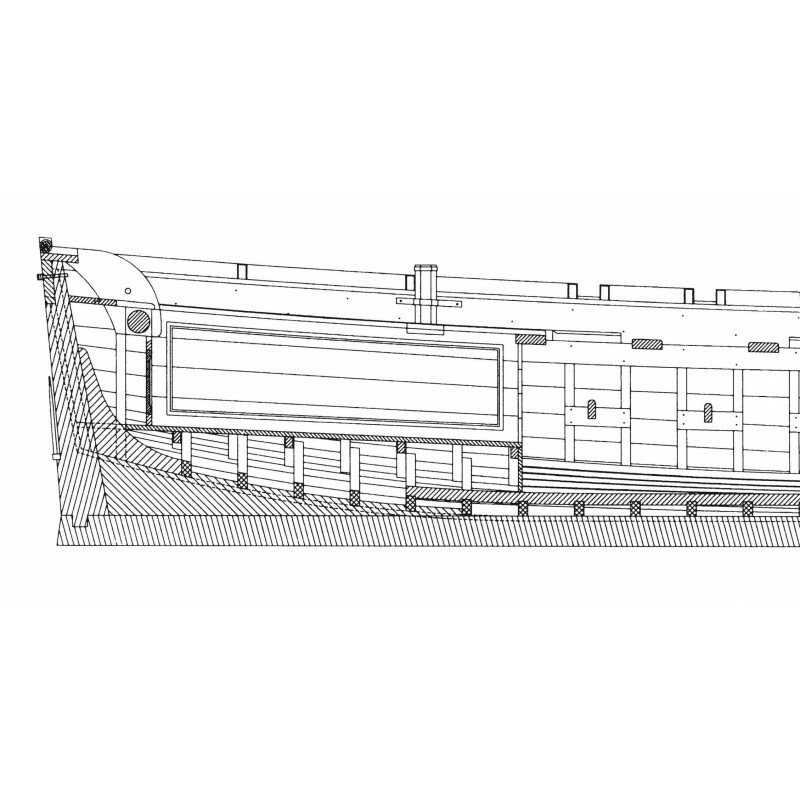 PLATE 1 : forms the basis for the reconstruction, all lines taken from the original draught. 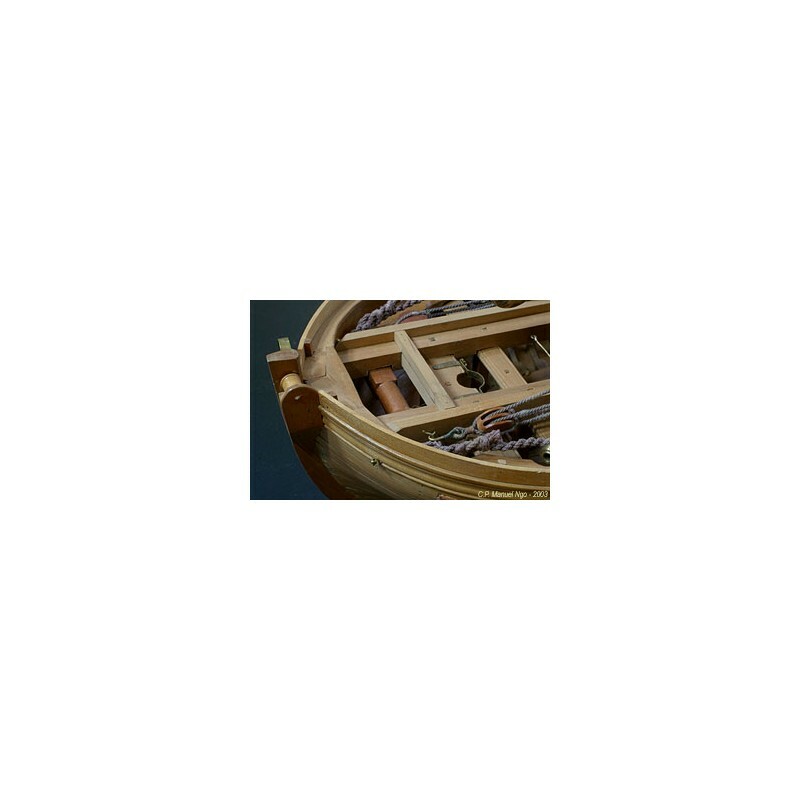 PLATE 2 : shows the framing of the boat by bending frames over a mold or plug. 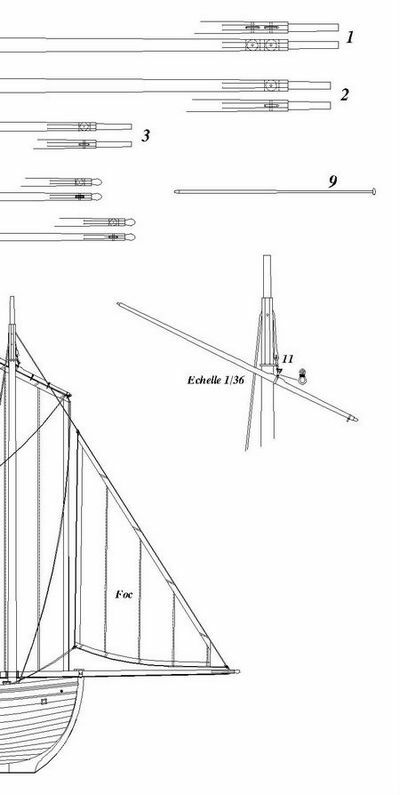 PLATE 3 : gives the details of the skeleton of the longboat. PLATE 4 : illustrates precisely the details of the boat. 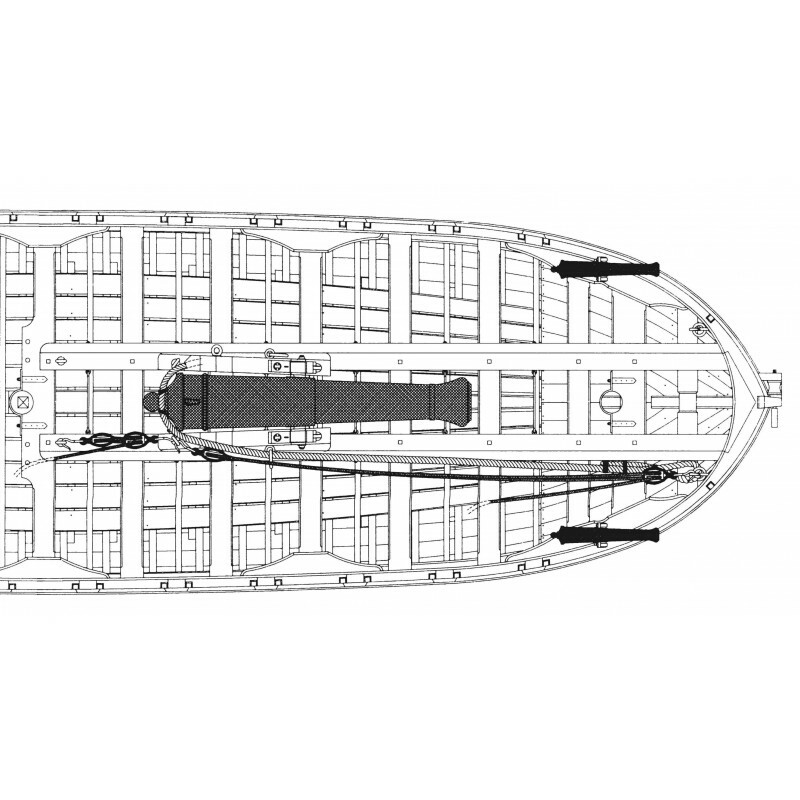 The plan view, inboard profile and the four transverse sections define all the elements used to complete the hull. As with the previous Plate, the drawings should be examined together, thus allowing a better understanding of the whole. PLATE 5 : contains details regarding the fashioning and installation of the armament. In addition, there are details of certain other fittings such as the rudder-irons and the method of stepping the small mizzen-mast known as a jigger-mast. PLATE 6 : This plate shows the completed longboat, armed, and with the gun rigged.